By Alvaris Falcon in Mobile. Updated on April 9, 2018 . Although the debut of iOS 7 design brought up lots of arguments within design communities, it doesn’t stop them from continuing to design it. In fact, some generous designers are working their best to help others adapt to the new design. And that’s how we have quality freebies. 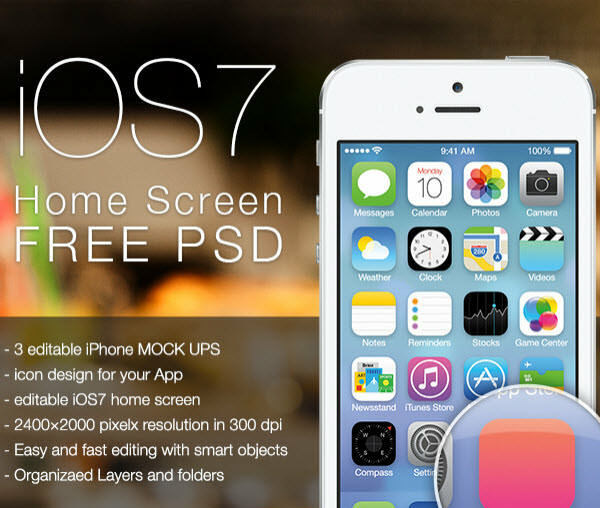 This post features premium freebies for designers who are building projects for iOS 7. Here is a balanced mix of 10 useful iOS 7 goodies including GUI and icons for you to implement them directly into your next-gen app design. Have fun twisting them to your liking. iPhone GUI. If you know Teehan+Lax, you know that they are the gods of iOS freebies. 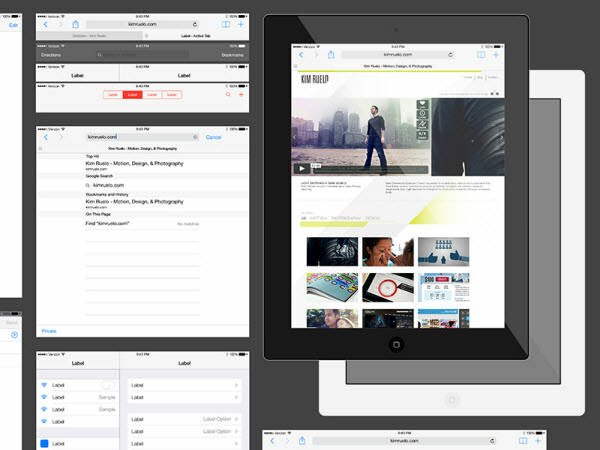 Here is their latest and greatest GUI PSD for you, equipped with everything you need to design for the latest iteration of iOS. UI Kit. 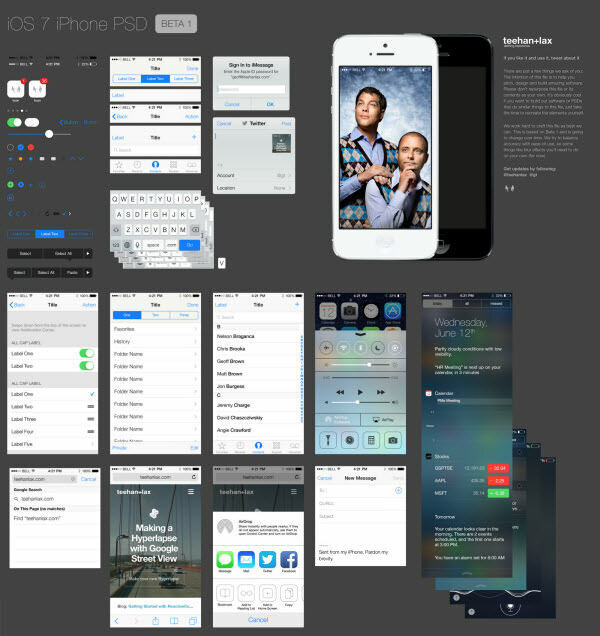 It greatly helps to have yet another ultra-quality iOS 7 UI kit in your design arsenal. Every element is 100% vector, which means resizability is never a problem. iPad UI. What you’re staring at is the complete set of iPad UI, from buttons to menus to interfaces in Illustrator format, contributed by Kim Ruelo. You could grab an iPhone version as well! Home Screen. With this premium package you get an iPhone mockup with home screen design and of course, all icon designs on that screen. The price? A generous tweet! 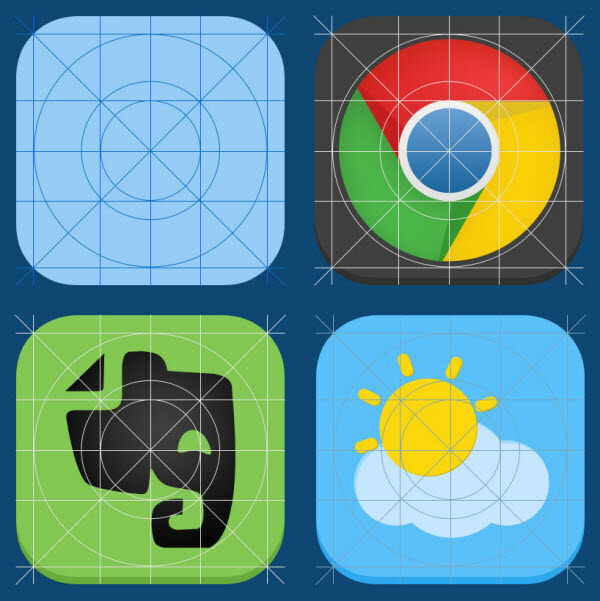 App Icons Template. iOS 7 has overhauled the way it designs icons, so this guide template will prove its usefulness to your design on different iOS platforms. iOS 7 Guide. If you need more practical examples of using the new guide for your iOS 7 icon, then this one is a must-download for you. Icons. Here are all the native iOS 7 icons that stay true to its original design, and they are shapes for infinite resize. Your iOS 7 icon design can never go wrong with this set. Custom Icon Pack. Stuck in the design block for iOS 7 icons? You know what to do next for inspiration, remember to say thanks to Michael Shanks! Tab Bar Icons. Line style vector icon is the new cool in iOS 7 design, and now with this pack, you can adapt to the design instantly. Control Center. Though this is more of a custom design than its original version, it shouldn’t stop you from acquiring it as all elements in this PSD are available for both personal and commercial use. 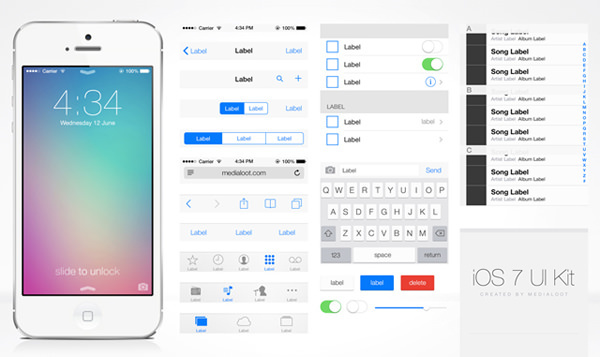 Now you have all essential kits to kickstart your iOS 7 app design! If you haven’t signed an NDA on yours, kindly share to us your iOS 7 design!